How to portray the ugly horror of the First World War through a medium as poised and beautiful as ballet? It’s a conundrum that Alistair Marriott struggles with valiantly in ‘The Unknown Soldier’, his new short work for the Royal Ballet, but doesn’t quite find an answer to. His solemn piece opens with video footage of the reminiscences of Florence Billington, who recalled seeing handsome, boisterously excited young men heading off to war. Her own sweetheart also left, never to return. Marriott focused his dance on her story: we saw proud uniformed recruits and women in diaphanous pastels whirling together in last dances; Florence (Yasmine Naghdi) and Ted (Matthew Ball) meeting, falling in love and being parted. 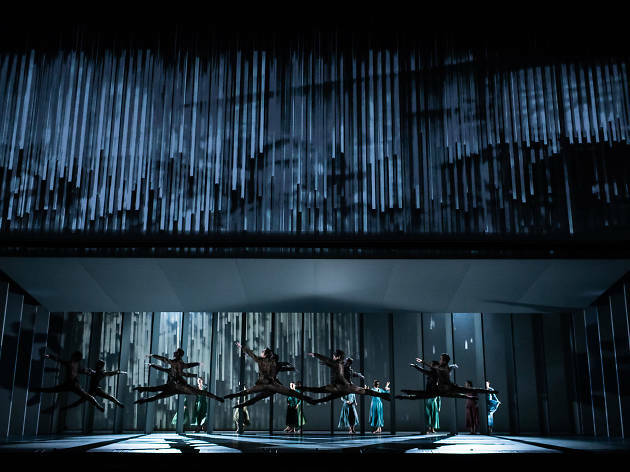 Es Devlin’s stark set, Luke Halls’s video projections and Bruno Poet’s lighting keep up a swirl of movement around and above the dancers – but the whole creates a rather cool distance from the drama. Billington never knew what happened to her beau – hence him standing in for the Unknown Soldier – which made it odd that there was a powerfully danced scene with her receiving a telegram about his death. Marriott attempts to fill in the blanks about Ted’s fate by including the veteran Harry Patch’s memories of the last seconds of a dying soldier’s life – Tomas Mock as Patch, cradling the dying Ted on the battlefield, is an awkwardly mannered representation of something so awful. And the final scene, of a near-naked Ted and co, gold-lit and presumably in heaven, was a rather distracting reminder of the beautiful youths that were fed to the cannons. No faulting the dancers – Ball and Naghdi were enchanting in their duets, glowing with the first flush of love as they completed endless soaring lifts. But you couldn’t help feeling there was something tonally awry with this heartfelt tribute. 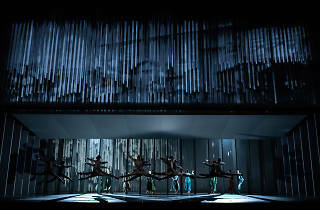 Wayne McGregor’s modern classic Infra, which follows it, shows how to embed tech into a piece much more convincingly; its subtly moving depiction of urban angst is well handled by a cast comprised of many of the Royal Ballet’s new guard. And George Balanchine’s ‘Symphony in C’, a paean to the joy of pure dance, with its riot of sparkly white tutus and tiaras, was attacked with vigour by all – none more so than Vadim Muntagirov, who seems to have found his spiritual home in the American choreographer’s mercilessly exacting steps.